Comic Frontline: How Marvel Can Perform a ResurrXion of Their Legacy?! How Marvel Can Perform a ResurrXion of Their Legacy?! Marvel Comics has just launched their ResurrXion initiative for the Inhuman and X-Men books. Even amid the X-Men Gold art controversy fans have been praising the company for returning their favorite characters (mainly the X-Men) back to their roots. 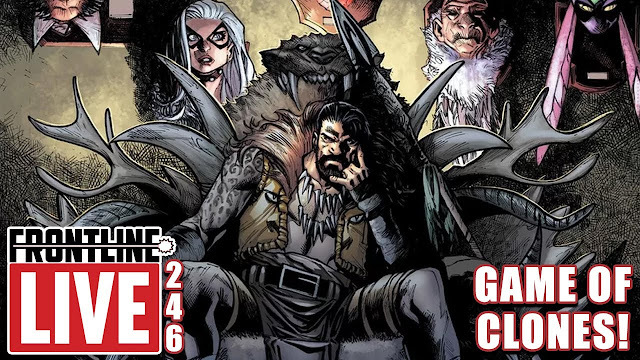 This past weekend at C2E2 Marvel announced their newest line-wide initiative Marvel Legacy, which will see the return of long time characters that were replaced during previous initiatives, and their legacy numbering. This had me wondering: If they can do this for the X-Men, how can they do it for the rest of their books? 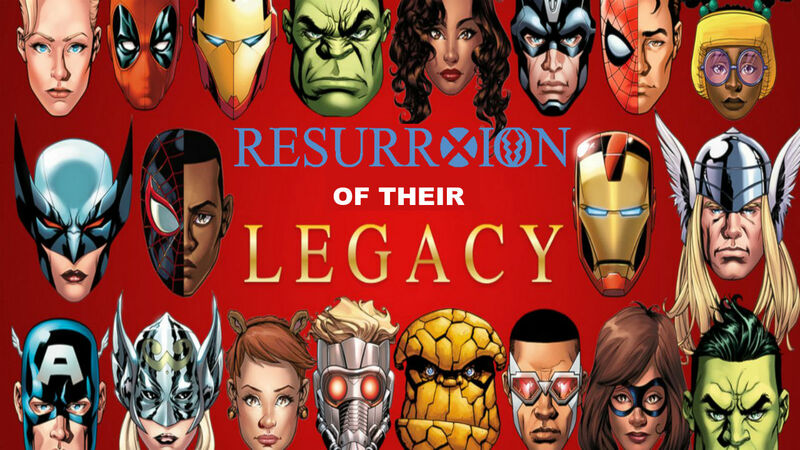 So myself and some of the other members of Comic Frontline thought we’d share our thoughts on how Marvel can perform a ResurrXion of Their Legacy! Jay: The Avengers have gotten too big. Everyone and their mother are Avengers now, that needs to end. The Avengers team should be limited to 10 members. 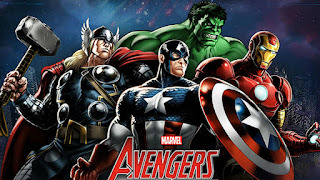 The original 6 (Captain America, Iron Man (Tony), Wasp (Jan), Giant-Man (Hank), Hulk (Banner) and Thor (Odinson)) and 4 other members comprised of some big names like Spider-Man (Peter), Captain Marvel, Hawkeye (Clint) and Vision. This should be the big things. I would even be open to 12 members with Scarlet Witch and Quicksilver on it. These are the Avengers. I want when they assemble for it to mean something. At the same time I want the interpersonal relationships back. Kat: It’s sad that I’m not picking up any Avengers books because I feel like the franchise has lost focus. The Avengers should go back to being the biggest superhero team of the Marvel universe, and focus on one team roster instead of multiple. The franchise needs to be more streamlined. Chris: Ok so we have a sea of Avengers teams already (Avengers, New Avengers, Young Avengers, All-New, All-Different (ANAD) Avengers, A-Force). This is hard to really have a ResurrXion when it’s been SEVERAL TIMES already, heh. For the regular Avengers team I think we need a classic feel for a bit get the classic golden age team back for that book, let this team deal with the global scale emergencies. For new Avengers give the reigns to Falcon ( Even though I loved Luke Cage’s leadership run I don’t see a way to bring him back as leader) and let him put a team of up and comers together and have them like the backup team to the Avengers or deal with more immediate threats. We don’t need ANAD! For A-Force sadly due to Medusa and several other characters all across the universe I don’t see this book happening unless it takes place in another dimension (like Spider-Gwen) that maybe Singularity could find. All just ideas, I’m sure there’s a better way to tackle the Avengers this is just mine. One Avengers team would truly be good enough for me too. Brant: Man oh man, this one is tough considering the current landscape. The Avengers haven’t been the same since Disassembled. And even though there was a period of time that New Avengers got some things right, by and large, the Avengers have suffered from losing themselves almost as much as Spider-Man. 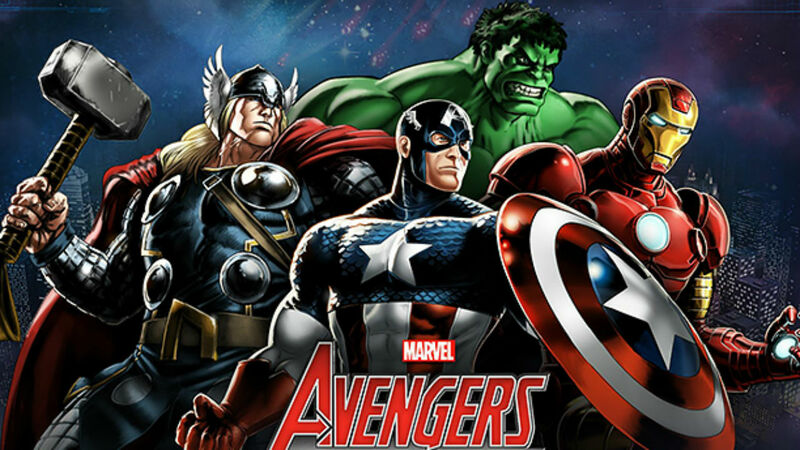 The moniker for the Avengers is “Earth’s Mightiest Heroes,” and they are supposed to be just that. When no one else can quell a threat, cosmic or Earthbound, the Avengers spring into action with their larger than life abilities, and diverse personalities. For me, what made the Avengers special was both the concept of this big team of heroes, but also the family vibe you got from the Avengers as opposed to the more professional feel of the Justice League, their DC counterparts. The Avengers had differences of opinion and oftentimes argued like relatives. It was a much more personal team at their best times and with their best rosters. To regain that, you have to do a lot to the current Marvel Universe, starting with Captain America. Because to me, the Avengers isn’t the Avengers without Captain America. And frankly, Sam Wilson just isn’t written like a Captain America character should be. So you first have to fix one of the Captain Americas before you can even begin to fix the Avengers as a whole. “Earth’s Mightiest Heroes” also has to have some limitations. I understand that almost every superhero in the MU has been an Avenger or Reserve Avenger at some point in time, and at times, that can make sense. But the core team has to be boiled down to the basics and contain heavy hitters. But you also have to have that family dynamic. They have to spend a good amount of time together in some central base of operations, be it a new Avengers Mansion, Stark Tower, a warehouse, whatever. That should be a requirement, in fact. They have to have living quarters on site, and be on call when they’re not. They have to spend time with each other, rebuild relationships. That’s really what the Avengers have lost the most. By ‘Disassembling’ them and taking their home away from them, they’ve become every other superhero team out there, and that doesn’t work for the Avengers. 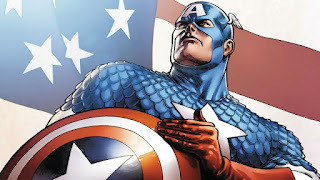 Jay: Steve Rogers is back as Captain America, the one and only. He is in his classic suit and shield. He should be a champion of the people. They can use him being a member of Hydra and having to earn back America’s trust. Chris: After this Hail Hydra story I’d love to see cap go back to his roots for a bit. No more loss of the super soldier serum, no mind control, no death, no Agent of S.H.I.E.L.D., no lost in another dimension. He needs to get back to being JUST cap…the only Cap! Let the world not trust him after the events of Secret Empire and have him fight his way back up, even have Winter Soldier join him for a bit. Let him take missions the army deems too dangerous for normal soldiers to do for the time being. Jay: Carol just hasn’t been there enough. She is the premiere female hero, let it show. Give her a life though at the same time. One of the reasons why Jean Grey, Storm and Rogue are the big three for years is because they had lives. We followed their dramas, loves and heartbreaks. Let us into her world. Give her an interesting supporting cast, and allow Carol Danvers to have a story. 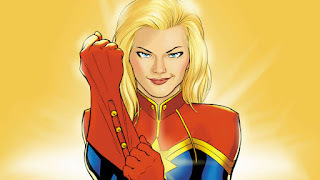 Kat: Captain Marvel has become a bigger figure in the Marvel universe in recent years, but sadly every volume of Captain Marvel has lost my interest. The current Captain Marvel series seems more like an Alpha Flight title compared to a Carol Danvers series. Issue 0 had the right focus for Carol’s character, and I wish the series followed up on that issue. Chris: Carol has made a lot of mistakes since gaining her authority, and still while the public adores her for what she’s done a lot of other heroes aren’t too fond of her anymore. 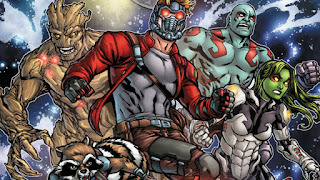 I thought the space journey arc had a lot of potential especially with her joining (but not really) the Guardians of the Galaxy. I think Carol should go back to space, Rhodey is not there to keep her grounded to Earth anymore, maybe Carol needs to lose that authority and take to the stars again and maybe not come home for a while. Give her a cosmic adventure, we ONLY have that with a handful of titles and with the title CAPTAIN MARVEL especially due to the Captain that came before her this book SCREAMS COSMIC! 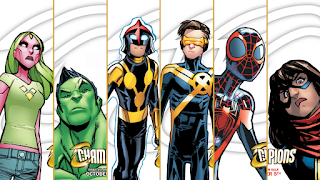 Jay: The Champions have become SJWs, which to be honest is irritating. These are teens with superpowers. Where is the drama? Where is the interpersonal relationships? Where are the superheroics? Where are the mistakes? A little social awareness/activism is cool, but it shouldn’t be the driving focus of a teenage superhero team book. Mark Waid is excellent at writing young heroes, look up his Young Justice run! This could be the next Young Justice! Marvel needs to let Mark Waid write a real teen superhero group book. Brant: It’s kind of hard to consider a RessurXion type of treatment for Champions. 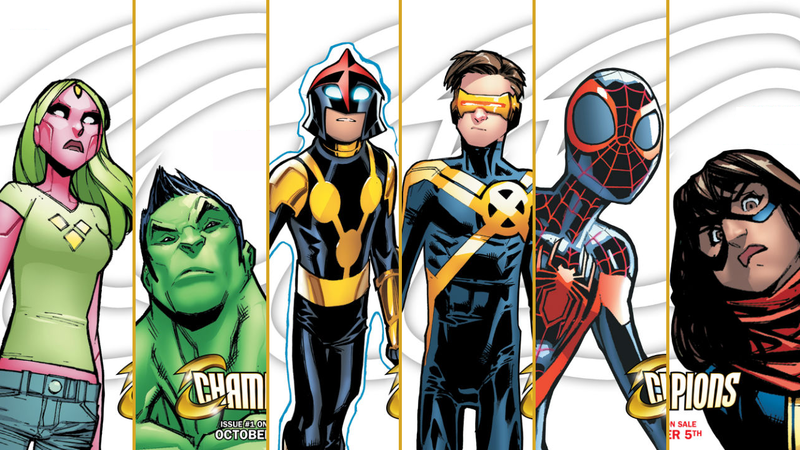 The original Champions was a completely different type of team. This current crop of characters is more like a New Warriors/Young Avengers hybrid that started off strong and quickly fell into a political version of an after school special. So for them, it’s less about getting back to the basics than reimagining what this team truly is. These are young kids with a desire to affect positive change in the world, and that’s a very good thing. But it has been missing the fun and youthful feel to it for several issues now. These are still kids. Kids make mistakes, kids goof off, kids get into trouble. Even when they’re trying to do the right thing and trying to be good, they will inevitably cause trouble. It’s all part of both the learning process and the growing process. These kids in Champions, though, are not believable as they are written in this book currently. The book comes off preachy and reads as an educational comic instead of an entertaining one. What I would do is strip all of the ‘issues’ away initially, focus on the characters. Make it character driven instead of plot driven. Get to the core of who these kids are, who they are to each other, and build on those relationships. Let them stand up for other young people if anything. We have several Avengers teams, X-Men teams, etc. 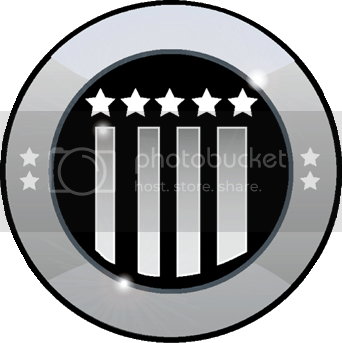 to fight inequality and large threats. We don’t have a team that stands up as a voice for young people. Let the Champions do that, and in the process learn about themselves and each other. Add some drama and conflict into their personal lives, let that bleed over. Flesh them out and don’t just use them and their diversity as a means to exploit current media topics. Get off the soapbox and tell good, meaningful and interesting stories with these characters that are frankly much more interesting than they come off as in this book. 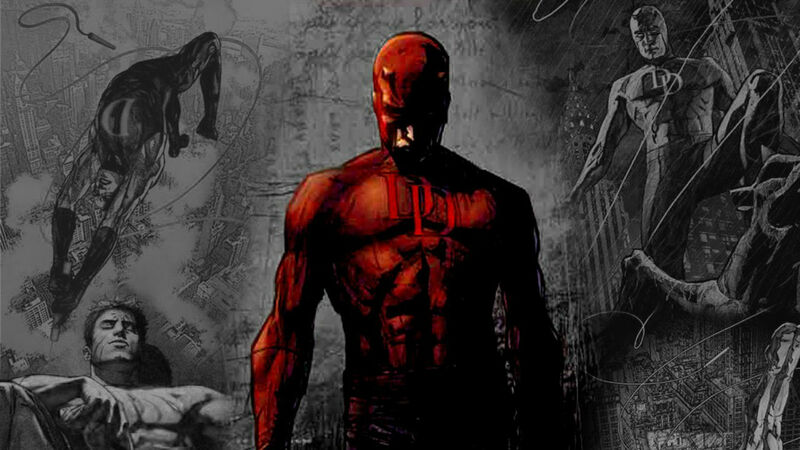 Jay: I think Daredevil needs to be that ground level hero. I would say make him a hybrid of Batman, and Green Arrow. He is the man who operates at night and in the shadows, but also make him a man for the people. 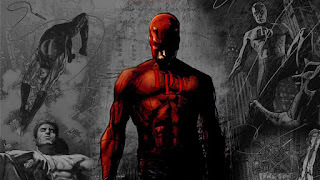 Have him take on cases that cross over with Matt Murdock’s cases. Jay: Despite what people say comic book readers are not turned off by an intelligent, science driven book. 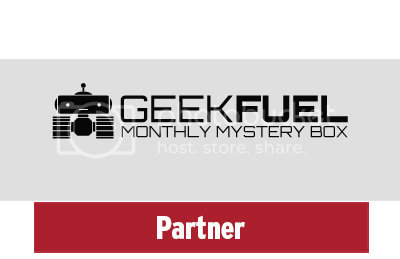 Sci-Fi books have audiences, look at Paper Girls, Morning Glories, and Vision, all it takes is something to hook a reader. The Fantastic Four is first and foremost a family book, bring that into it. Kat: It’s a shame that the Fantastic Four had to be cancelled because Marvel didn’t know what direction to go with for the team. It’s weird to see the Fantastic Four team scattered or not seen at all in the current Marvel comics. 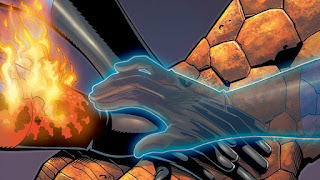 It’s time for Marvel to relaunch the Fantastic Four and focus on the family element of the series again. Brant: Considering Reed and Sue have gone missing or are presumed dead, this one’s a little tricky, but the original four need to come back together once more. At the core of Marvel’s most successful characters is the concept of family, and no other team embodies that more than the actual first family of Marvel, the Fantastic Four. You need the parental charms of Reed and Sue, and the bickering brotherhood of Johnny and Ben. You need a family that can sometimes be dysfunctional, but always comes together when it counts. There’s a lot of baggage there to be worked out, but that’s best to be worked out together. They’ve all done their own thing now, traveled the world or the universe, or the multiverse. They’ve gotten it all out of their system, and none of them are the better for it. There’s something missing, and that is their family. Bring these four back together (which also of course means bringing Franklin and Valeria as well) and make them that first family again. They deal with cosmic-level threats better than anyone, and they do it as a team. 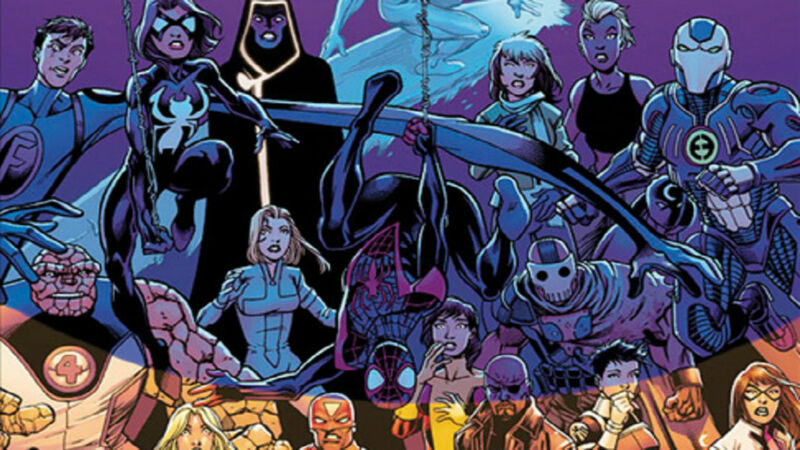 Put Future Foundation on the back burner, focus on the core of what makes the FF tick. They don’t ever need to be bigger than that. Just tell good stories with that core family dynamic and you can’t lose. Jay: This should be a fun action adventure. Look at the movie, the reason why it did so well is because it was that fun action adventure movie. 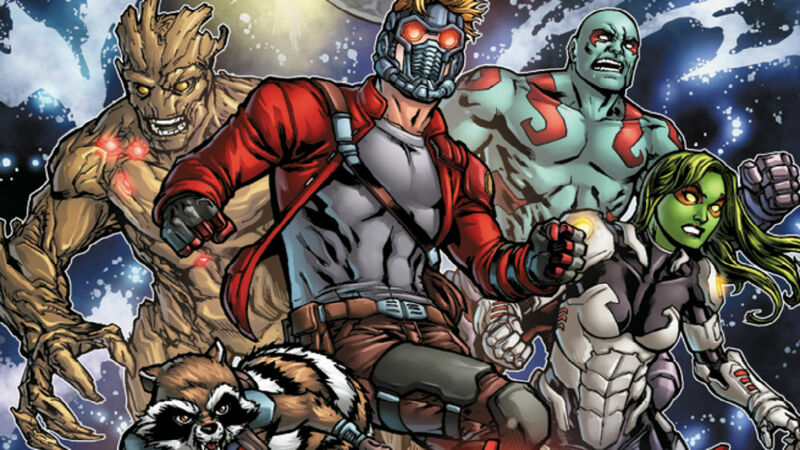 Marvel is also milking the cow dry with all of the Guardians having solo series. All we need is the one, the big draw of these characters is them as a group, so stick to that. Jay: I like Occupy Avengers right now, so bring that Clint back into his title, yes his title. 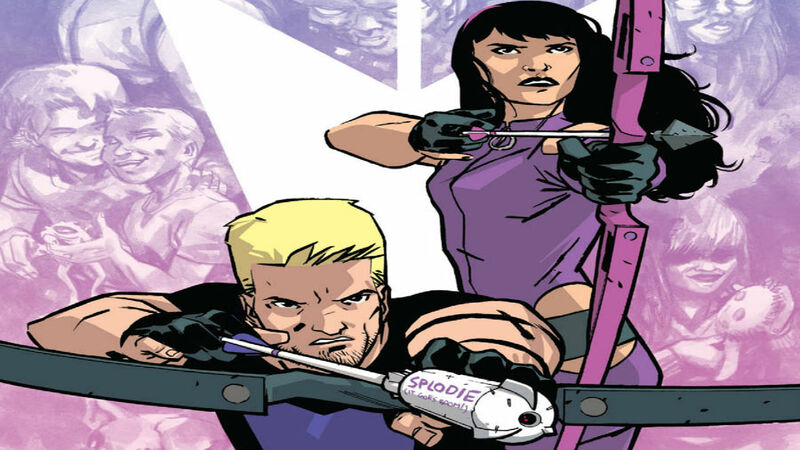 Not every hero is a legacy, and sorry but Hawkeye isn’t one. Kate is a strong determined confident woman, why would she even want to share the name with Clint? So if there needs to be a Hawkeye title then it needs to be Clint. Jay: I love Hulk, and I love Jennifer Walters, but why do you have to drop the She in She-Hulk? Bring back Bruce, and maybe do something unique with him. How about a Hulk who is as brutal as War World Hulk, and as smart and Banner? Have him be a different Hulk, one we never knew. Or go with the animated Avengers Hulk, he is a great character, still HULK SMASH, but has some humor and is smart enough to work with the Avengers. But I really want to go with an intelligent Hulk who is a bit more aggressive. Mike Spider-Slayer: As a kid I always enjoyed the Incredible Hulk, the Man who battles the beast within. However I always felt Marvel struggled with the character coming out with original stories for the character so they went the Amadeus Cho direction. Even though I enjoy the character and his personality I feel he is no Bruce Banner. 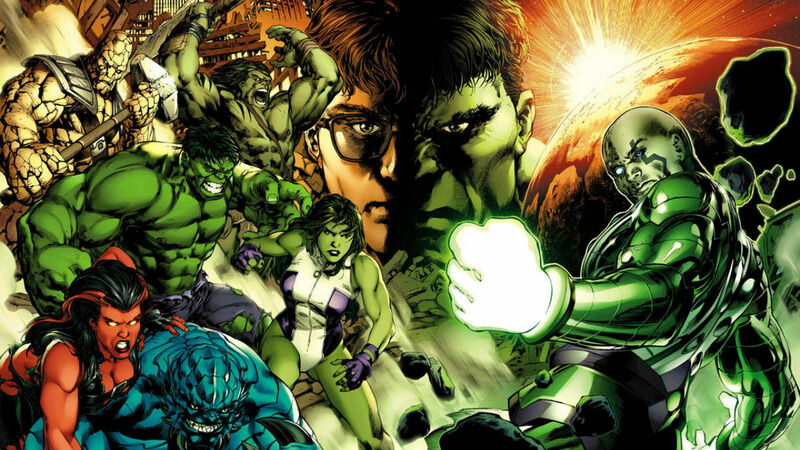 What I think should happen is Marvel needs to bring back Banner and make stories like Planet Hulk, World War Hulk or even Doc Green. I mean that story was totally thrown away by Marvel. Get Betty back involved in the book and and even Jennifer Walters... how cool would it be to see those two have a team up book? I mean come on, how can we have a cinematic Universe with Bruce but not have him in the comic books? Chris: Bruce Banner is dead... well with all that gamma radiation in his body, it’s not much of a stretch to say his body healed over time. Cho has the Hulk Gamma radiation inside him right now and there are a bunch of moments where he starts to lose control and we say that while he is in the driver’s seat for now…how long can that last? Maybe even have Cho try to resurrect (no pun intended) Banner by transferring the radiation he has back into Banner. Now we had that premonition from Civil War 2 that showed Hulk was going to kill everyone. What if Captain Marvel finds out Bruce is back and makes the Hulk public enemy number 1? That would mean Bruce would have to go on the run again giving the book it’s classic feel back. Go back to the title Incredible Hulk, have She-Hulk in Hulk and there you go. Maybe even give Thunderbolt Ross back the Red Hulk persona and have him serving Captain Marvel. Jay: Iron Fist, has had a lot of attention. I would like to have the book remind people that he didn’t save K’un-L’un but that K’un-L’un saved him. 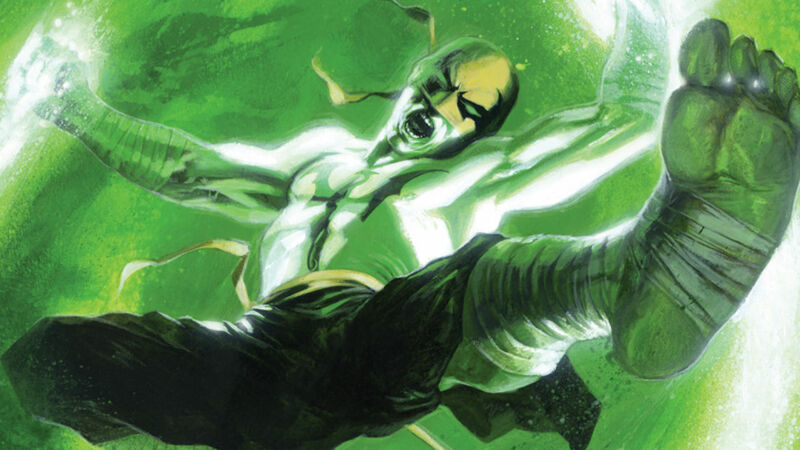 I wouldn’t mind seeing him mentoring more, we have the new Power Man, but I would really like him to start training a young Asian character who maybe was born with Chi power, just like the Iron Fist and is seen as a Messiah and Danny must train him or her, who is now a teen. This would be a great way to diversify Marvel without taking away from it. Jay: Ok first and foremost it is Iron Man, so why is a young girl whose name isn’t Iron Man in the book as the lead? Riri deserves her own Ironheart title and Tony deserves his title back. Have him be an innovator again. I wouldn’t mind if they borrowed a little from the Heroes Reborn and have him form the Knights of the Atomic Round Table. I also want to show more of his tortured soul. Bring back his supporting cast, Pepper, etc. Mike Spider-Slayer: Does Tony Stark really need to be an A. I. ? I would love for Tony to come back to the living instead of yapping in Riri Williams' ear all day. I would like for his body to heal. And get his Invincible Iron man title back and reconcile with Pepper Pots, have them work together as allies in business and out on the field. Riri can have her own book called Iron Heart and have Tony and Pepper be mentors to Riri and at times have their stories crossover. As much as I love Mary Jane I feel she does belong in the Spider-Man comics again at least as a friend for Peter and the rest of the supporting cast. Chris: Tony Stark's in a coma…he’s not even dead so bringing him back is the simplest task out of everyone here. Have him wake up from his coma, after the events or maybe even during the events in Secret Empire and have him be the one to stop Evil Cap. First arc would be him debating if he even wants to take back the mantle of Iron man, you can even make there be several arcs before he finally does take back the mantle of Iron Man. Have Riri’s book changed to Iron Heart and bring Tony back as Iron Man. Jay: Marvel needs to rebuild their teens. The last few years saw a resurgence of teen characters, a lot of which had a lot of potential but most were poorly executed. 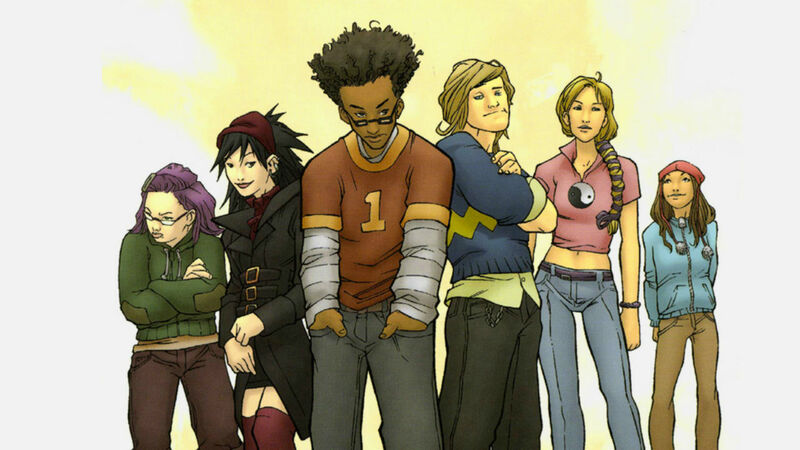 The Runaways has a huge following and the series is about to come out, so now is the perfect time to reunite the team and give people jumping into the TV show a place to continue their adventures. Kat: Marvel has some great teen heroes in their universe that aren’t used nearly enough. The Runaways is getting a TV Show and has a huge following, but they haven’t seen panel time in years. Jay: Spider-Man is Marvel. Period. I do not care who they claim their flagship title is, or who they want it to be it was, is and always will be the Webhead. Why have they taken their most universally recognized character and change him so much? Undo One More Day, I don’t care what your job title is there, if you do not know that fans are against Peter & MJ not being together, then you really need to get in touch with the fans again. I don’t want it to be a magical fix, have them remember the deal, and their time apart and show them reconnect. Show their courtship again. Then have them really renew their vows. I also think Peter needs to get back to the people. He isn’t a rich man, he isn’t Tony Stark. Peter is the everyday man, that is why people relate to him so much, he was always us in the book. I personally loved him as a high school teacher. Also and just as important as MJ, bring back his supporting cast. Spider-Man rose to the heights of popularity due to him being the everyday man and his supporting characters. That deals with the Amazing Spider-Man. Now for the rest. I will address below in the Ultimate Universe. Either bring him fully into the 616, or send him back to 2099. Miguel is here in the present 616 but he has little to no interaction or impact in today’s world. He has a supporting cast, but I have no reason to like them, or care for them. Two titles that were silently cancelled. I think they suffered from Spider-Overload. We have so many Spiders to choose from that they got lost in the crowd. Perhaps cut some of the male lead books or condense them so we can make room for them. If not how about creating a Spider-Women title, where we can focus on them more. I think this book could suffer the same fate as Spider-Woman and Silk, if they don’t bring something else to it. Explore Earth-65! Show us what this world is like. Meet the heroes, the villains, build up her supporting cast. Stop relying on the cross-dimensional trips. If not then drop her in the Spider-Women title too. Remember who he is. Ben earned a spot in our hearts because of who he was, not the shell of who he has become. Kat: Spider-Man is a Marvel franchise that needs a ResurrXion type relaunch the most. Spider-Man should go back to focusing on Spider-Man being a friendly neighborhood superhero, and the series should bring back Peter’s old supporting cast. To make The Amazing Spider-Man fresh I want to see the many Spider heroes in the Marvel universe more connected. It would be nice to see Peter make a stronger connection to characters like Silk, Spider-Gwen, etc. Mike Spider-Slayer: Miles Morales Spider-Man - Ever since this title has moved to the main Marvel Universe it has suffered from the Brian Michael Bendis Syndrome. The title suffers from what Guardians goes through. Lack of direction story progression. I feel Miles fits best in the Ultimate Universe so I feel Reed from Fantastic 4 to create another Ultimate Universe and give Miles his own world again, and have the Ultimate Universe build around Miles again. This way there are less Spider characters in the main Universe. And you can resurrect the Marvel Ultimate Universe and give the creators freedom on what they Can do with these characters. Chris: Spider-Man has been through ups and downs since One More Day. I would love to see the contract with Mephisto to come full circle. Have people remember about the contract and let there be a fight to destroy the contract. After that let there be ramifications where some things that have happened since brand new day no longer has happened, for example Parker Industries, JJJ as a TV host now and get back to some basics. Let Spider-Man be back in NYC again and get him back to his roots. Job wise he can do the daily bugle photographer thing again, teacher, heck he can even work for horizon labs again. As far as his marriage to MJ goes I’m ok if they don’t jump the couple right back together, that could even be one of the ramifications where it hurts the relationship to the point where MJ and Pete DON’T immediately get back together. Let it be a journey between the two characters to see if they truly do belong together or not…or don’t cause we all know SEVERAL heads at Marvel do not want the MJ-Pete relationship (which, yes, Tevya, is stupid). If you’re not going to bring back the Ultimate Universe Miles needs to leave NY. There’s Scarlet Spider, Spider-Man, and Spider-Man 2099 in NY already. The book needs some serious direction, give Miles a new place with newer villains to face and new obstacles he needs to jump over cause right now he isn’t doing ANYTHING. Honestly to get Miles book it’s true potential you NEED the ultimate U he needs to be the only Spider-Man in his dimension again. PLUS there was so much potential with that Peter Parker return, so many stories could have come up from there he could have been the ultimate Ben Reilly! When you hear Spider-Man 2099 your mind goes “ok this book takes place in the future like the first volume did” and it doesn’t. As the title says, let him fix the time stream and go BACK to 2099. Right now like Miles there’s really not much else for Miguel to do except try to correct events in the present to restore his future. I say let him FINALLY restore his future and go back to 2099 there are lots of stories that can be told in that world. Especially after finding out Miguel’s girlfriends is pregnant this already changes the future even if Miguel fixes it. I’d love to see the effects of Miguel having a baby in the future. He could also take the baby and girlfriend back with him; she was supposed to die anyway. There are a lot of awesome stories you can tell with him versus his dad and the stuff that spun out of Secret Wars, there’s more than enough potential in 2099, no reason to make Miguel stay in the present anymore. Brant: In getting back to the basics for Peter Parker specifically, you need to explore what made Peter tick, what made him relatable. While it’s cool that the ‘Parker Luck’ finally took a turn and he’s able to do all this cool stuff, it robbed him of who he was a bit. Peter was the everyman who happened to get powers and got lucky enough to land MJ. Now he’s a rich single dude jet-setting across the world. He lost that connection to fans. So for me, I think I’d like to see a balance here. I have no dreams of Peter working for the Daily Bugle again, or going back to being poor, don’t get me wrong. Seeing someone that you can relate to making something of themselves and becoming successful is also motivational. What I would like, though, is for Amazing Spider-Man to focus more on Peter’s personal life and his supporting cast, two things that have been sorely missing. Have him step down and let Maria take the lead of the company. Take a smaller role and rake in the profits while having less responsibility in the day-to-day. This way we can see him get back to being that street-level hero that occasionally gets pulled into bigger battles. Jay: I love Jane Foster in The Mighty Thor, but I think she fits more of the humanity side of the book. It is the issues when we see Jane fighting for the little man, or standing up to the council of the Realms, where she shines most. She isn’t the bash in heads and guzzle mead Thor. I would give her, her own hammer and rename her the Midgardian where she will be the guardian of Earth and fight for humanity in the council and on the streets. I would also return Odinson as Thor give him his hammer and return him tot he big his adventures. Kat: I became a fan of the Thor franchise through Jane Foster’s adventures, but I get why old fans of Thor miss seeing Odinson’s adventures every week. So there should be two titles one for Odinson’s adventures and the other for Jane Foster’s stories. 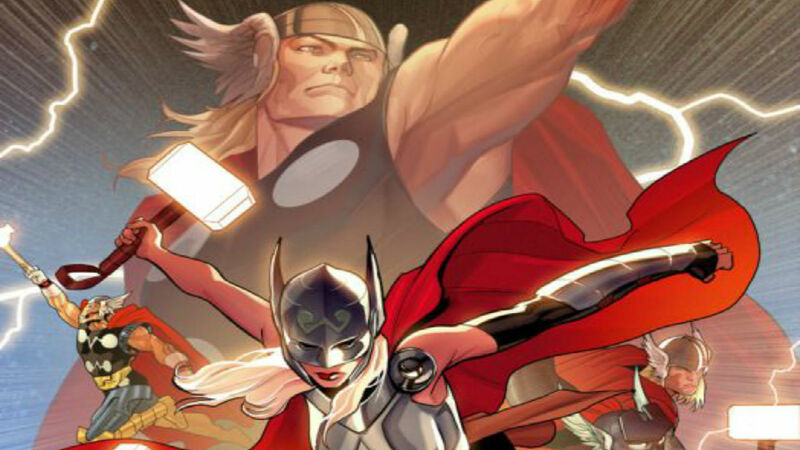 Odinson should focus more on the Asgardian mythos, and Jane Foster should be a grounded superhero book. Chris: When it comes to comic fans you say 'Thor' the first person that comes to mind is Odinson. I would find a way to make Odinson realize he is worthy again and regain his hammer BUT have Jane Foster as a Thor as well (maybe give her the Ultimate Hammer or even a new hammer). Have 2 books that run side by side like many other titles have done “Mighty Thor” which is Jane Foster on Earth and on an Avengers team (there are several to choose from), and then just straight up “THOR” for Odinson and have him in Asgard/on Earth at times and then have him on another Avengers team. Odinson has a lot of potential for flashback tales as well. 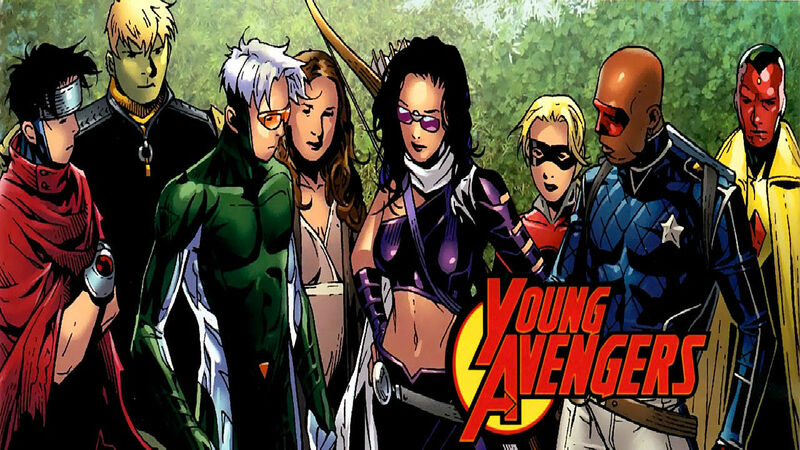 Jay: The Young Avengers were amazing and bold when they premiered. This was a book that brought to Marvel brand new legacy characters while, not getting rid of any of the older ones. 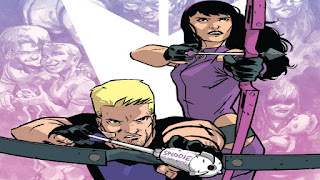 I think they should “get the band back together.” Patriot (Isaiah) Kate Bishop (give her her own name), Stinger (I would return Cassie back to Stature though), Hulkling, Wiccan, Speed, and Marvel Boy. I would also bring back Vision’s son Vin, where he would be resurrected through the Iron Lad/Jonas armor. 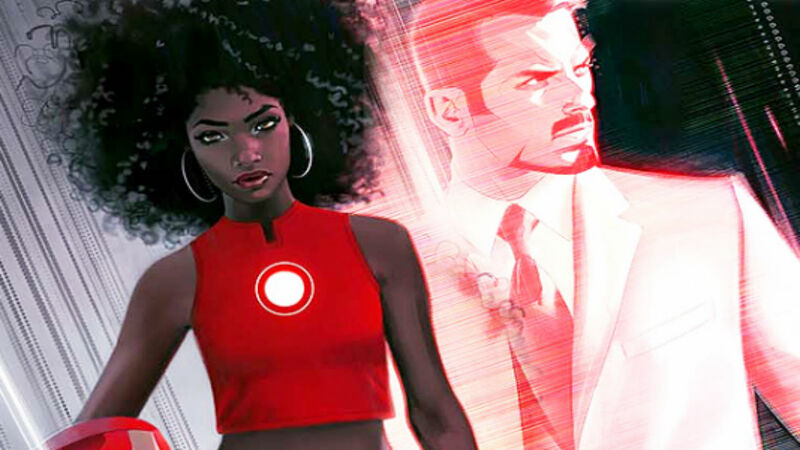 I would also bring in Riri Williams as Iron Heart. I would love to see her form a friendship with Kate and Cassie, and maybe see Cassie and Vin have some romance? Then you would also have “brothers” Vin and Billy who are in essence the reincarnations of Vision’s sons. 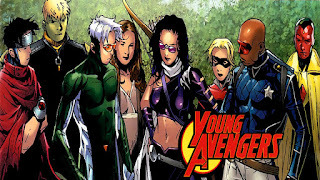 Kat: The Young Avengers also has a big following, but the original team rarely interact with each other. Chris: For Young Avengers I say just bring back the team and continue as the teen Avengers book (NOT even referencing Gillians run!). Jay: I am going to be honest, Miles has suffered since he came to the 616. I don’t have that same connection to him as I did in the Ultimate Universe. I think it is partly due to him not having his world. With Secret Wars over and the Multiverse restored have him return home, and perhaps have things fixed like the past X-Men could discover they are from this Universe, since Marvel screwed up and killed the X-Men in the Ultimate Universe. Use Mile and the past X-Men to rebuild a bigger and better Marvel Ultimate Universe. Chris: I believe the Ultimate Universe should be brought back! After the event Ultimatum that killed off a lot of X-Men characters and other events that took other well known characters, plus the creation of Evil Reed Richards lead to a lot of bad decisions that MIGHT (not saying did) have led to the ultimate choice to end the Ultimate Universe. I would love to see Reed and company bring back the Ultimate Universe again; lord knows it will give Miles Morales purpose again! Right now Miles just seems like he’s in the 616 but isn’t really doing much AT ALL. For this universe a minor reset button push wouldn’t be a bad thing, I used to LOVE Ultimate X-Men and Ultimate Spider-Man as well as the Ultimate Avengers Mini’s. I think with the right direction this world has a lot of potential. People are complaining all the time about wanting change with characters and it HAS impacted the regular Marvel U to the point where it’s unrecognizable at times. With the ResurrXion of the Ultimate U it brings back the window of opportunity to shake things up a bit. We had gay Colossus, we had Miles Spider-Man, Evil Reed Richards again, Jimmy Howlett the son of Wolverine (not to mention Wolverine’s claw being buried sets up for a HUGE return of the Ultimate Wolverine. The Ultimate U has a lot of potential as well as a way for Marvel to experiment with the classic heroes of the 616 without IMPACTING the 616. THIS is something I would read if it happened both in event and in the series that spin out of it! Let us know in the comments what you think of this Marvel Comics Announcement and don't forget to follow us on Twitter for the latest Previews, Reviews, News and Interviews!